Abby’s Ice Cream & Frozen Yogurt in Downtown Ellijay, GA is doing something very special for the month of May! Abby’s is giving away a Brand New FREE iPad! To enter the raffle drawing, upgrade to a Blue Cup during the month of May! The more Blue Cups you buy, the more tickets you get in the raffle! All entry tickets must be received by 9pm on May 31st, 2017. 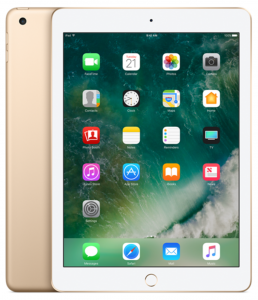 Come into Abby’s TODAY for a chance to get your hands on a brand new iPad! Purchase a Blue Cup ($7) at Abby’s Ice Cream & Frozen Yogurt between May 1, 2017 and May 31, 2017 to receive a raffle ticket. Enter your First Name, Last Name, and Phone Number on the ticket and put it into the raffle drum. The more Blue Cups you purchase during the month of May, the more tickets you get and the better chance you have of winning. The winner of the raffle drawing will receive a brand new Apple iPad. The iPad will come new, never used, with all components and the box. This is a 32 GB iPad and is Wifi Ready! ($330 Value). One winner will be chosen on June 1st, 2017. The winning ticket will be drawn at random from the raffle drum via Facebook Live and/or video that will be posted on the Abby’s Facebook Page. Upon selecting the winning ticket, a member of the Abby’s Crew will call the winner. The winner will also be announced on the Abby’s Facebook page. Raffle tickets may not be purchased. 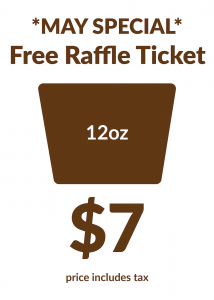 A raffle ticket is only given in exchange for the purchase of a $7 Blue Cup. If the winner is under 16 years old, a parent or guardian must be present to receive the iPad. All sales are final during this raffle giveaway campaign and there are no refunds.